Comments: Gladys Aufdemorte (Nee: Bowers) | Nephi UT United States | | Comments: Family portrait of Abraham James Bowers Sr. and Christena Sinclair Bowers in front of their house in Nephi, Utah (circa 1918?). Front row (left to right): Christena, Joey, Abraham Sr., John, Maylon, Leona, and Charles. 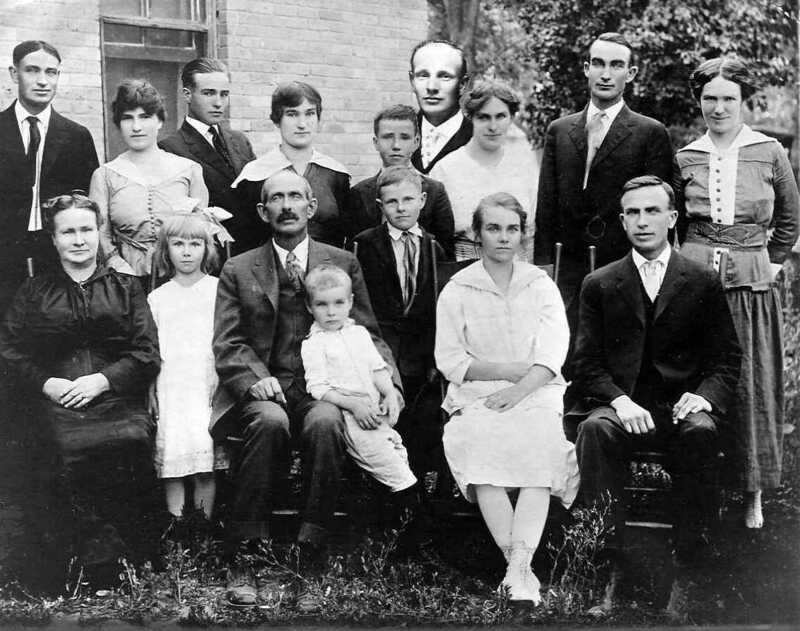 Back row (left to right): Abraham Jr., Maude, Stewart, Gladys, Clarence, Mathew [inset], Nettie, Harry, and Maggie.